The Egyptian hieroglyphic script is one of the most beautiful, fascinating, and expressive writing systems ever invented. In Ancient Egypt, only an elite few could read and write hieroglyphs, but now you too can recognize and write a selection of names, titles, descriptions, sayings, greetings—even insults! For the ancient Egyptians, nothing could exist without a name—names held the spark of life. 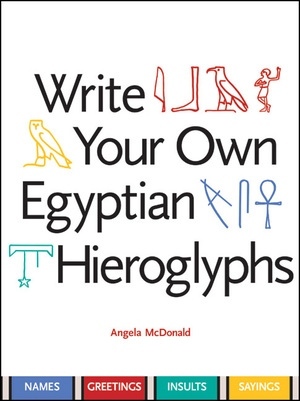 In this colorful illustrated guide, Angela McDonald explains how the Egyptians composed names for the elements of their world and along the way opens a fascinating window on their ancient culture—their gods, enemies, animals, and more. 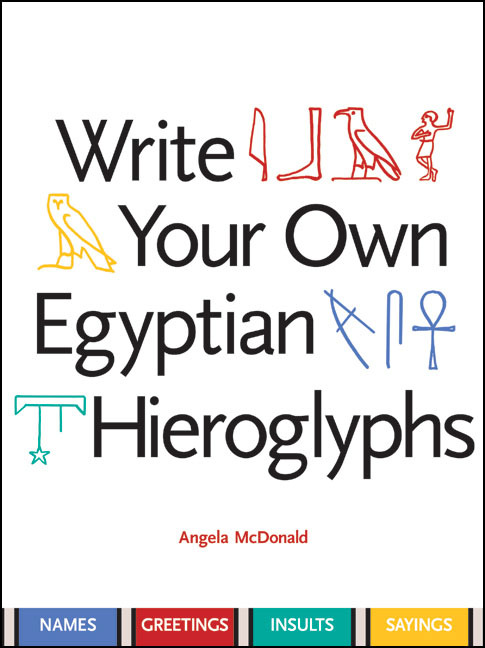 With practical guides and a lively, informative text, she shows how to create many charming and useful phrases in hieroglyphs for yourself, your friends, your pets—even your house. There are step-by-step tips on how to draw some of the trickier signs and a collection of genuine Egyptian phrases—greetings, laments, and insults—for use in your own compositions. In the words of one Egyptian papyrus, "By day write with your fingers, recite by night. Befriend the scroll and the palette—it's more fulfilling than wine!" Angela McDonald lectures in Egyptology at Glasgow University.